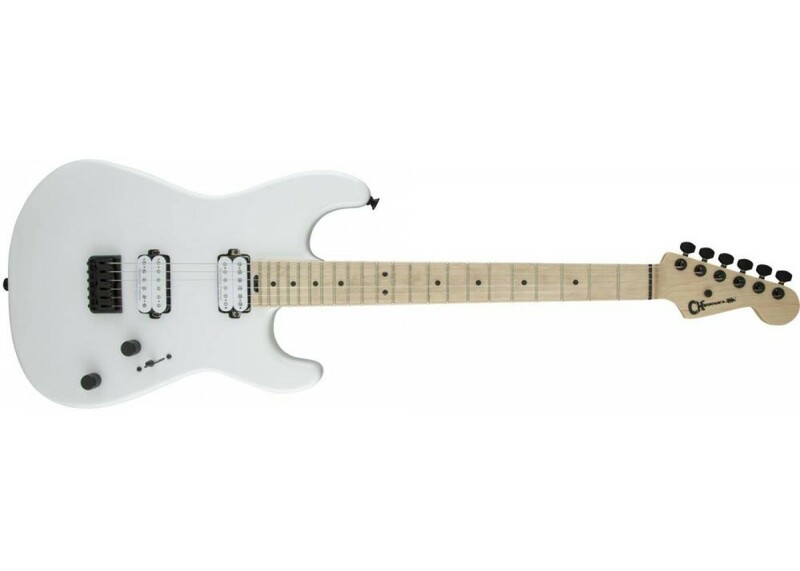 Charvel Pro Mod San Dimas Style 1 Electric Guitar .. The birthplace of many legendary guitarists, Southern California is also home to one of the original innovators of high performance guitars—Charvel. Combining versatile tone and eye-catching style with breakneck performance and ultra-slick playability, the tricked-out Pro-Mod San Dimas Style 1 HH HT was born to rock under the spotlights with head-banging, first-pumping Sunset Strip style. Decked out to meet the needs and exceed the expectations of today’s guitarists, this instrument sports two high-output Seymour Duncan humbucking pickups—a crisp, clear JB bridge pickup and a rich, fat ’59 neck pickup for robust tone with highly dynamic articulation and harmonic balance. The volume control conceals a push/pull coil split to have even more tonal variations on tap while the No-Load tone control operates like a standard tone control from positions one through nine, removing itself from the circuit at position ten for transparent sound, letting the full natural voice of the guitar shine through. Play with confidence in the guitar’s tuning stability and intonation, thanks to the secure six-saddle hardtail bridge. The two-piece maple neck hosts 22 jumbo frets along with a pair of graphite reinforcement rods to resist bending and warping under environmental stresses. The speed neck profile and 12”-16” compound radius fingerboard are designed for warp speed playing, unhindered positional shifts and mile-wide upper register bends without fretting out. 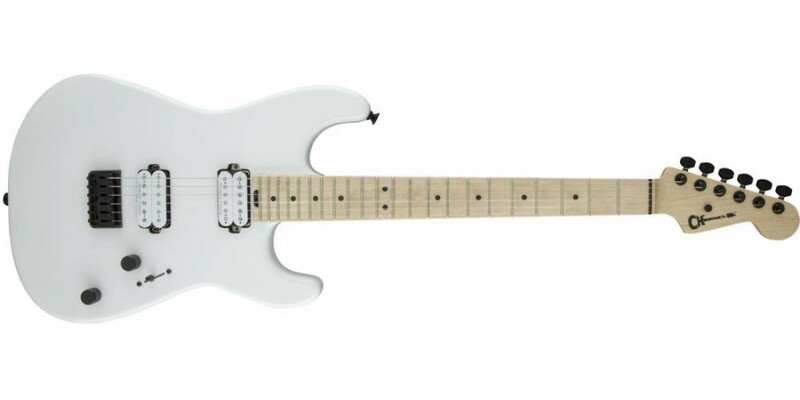 As curvaceous as a high performance hot rod, Charvel’s San Dimas guitars are widely acclaimed for their sleek, bold style. A black hardware package, including a Charvel four-bolt neck plate, branded die-cast tuning machines and vintage-style flat string tree are matched to bodacious finishes inspired by the So Cal lifestyle. Designed to match high-octane sound with unparalleled performance, the Pro-Mod San Dimas Style 1 HH HT is decked out and rarin’ to rip it up in the studio and on the stage.